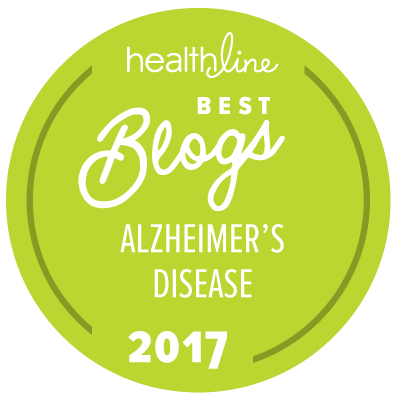 My father was diagnosed with Alzheimer’s back in 2006. I remember looking into my father’s eyes and realizing he doesn’t know who I am. I never really understood heart break until that day. Two years later, on April 4, 2008, my father passed away, 13 days before his 75th birthday. Now I hold onto the memories that I have of my Father – and I celebrate what he loved – MUSIC! Throughout his journey with Alzheimer’s, we made sure my father had a radio in his room. Even when my father had a glaze in his eyes, you could always tell he was okay as long as he heard the music. I still remember how the nurse would get him out of the hospital bed. She would sing to him; he would get up and they would start dancing. It is a moment I look back on with tearful happiness. They would slowly waltz to where ever she needed to take him. Just like my father, I have a passion for music and for dance. Which is why today – from sunrise to sunset – I will be doing Zumba fitness (a workout that combines dance and Latin music) as part of the Alzheimer’s Association The Longest Day. During this 16-hour event, I am dancing to music, enjoying myself and REMEMBERING my father. I am doing this for him and for all of those who have lost their memory because of Alzheimer’s. 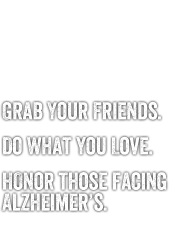 I want to make a difference for those who are living with Alzheimer’s right now. Join me! Turn on some music, get up and move, and be part of the fight against Alzheimer’s. About the blog author: Sonia Vazquez lives in Yuba City, Calif., where she is a Zumba fitness instructor. Today, she is participating in the Alzheimer’s Association The Longest Day®, a sunrise-to-sunset event to honor those living with Alzheimer’s disease and their caregivers. Thank you for sharing your story Sonia. My mother has Alzheimer's, and just a few months ago I visited her and will never forget that blank look in her eyes when I said hello to her and had to introduce myself. Heartbreaking, really is the best, if not the only way, to describe it. I miss her so much, yet she's alive physically. Anyway, thank you for sharing your story, it made me feel that I'm not alone, and that I can still celebrate my mom and try to help others who are affected by this extraordinary disease. I read your message this morning about your father. What really touched me was that you said a nurse at the hospital your father was admitted to use to play music and dance your dad where she needed him to go. I am a caregiver for a man who use to be a dancer until he was stricken with Alzheimer’s. there are days when his wife will stand him up and try to get him to dance. He will shuffle his feet and sometimes hum as they glide slowly across the floor. It is so beautiful. Sonia, I’m sorry to have read that your dad has passes. But, I am so inspired by your story and look forward to the next day that my patient stands to dance.